The Los Angeles Lakers have an opening in their front office following the abrupt departure of Magic Johnson earlier this week, but not everyone is interested in the potential opportunity. Miami Heat president Pat Riley, who spent nearly two decades with the Lakers organization as both a player and a coach, is one name that has popped up as a potential replacement for Johnson. 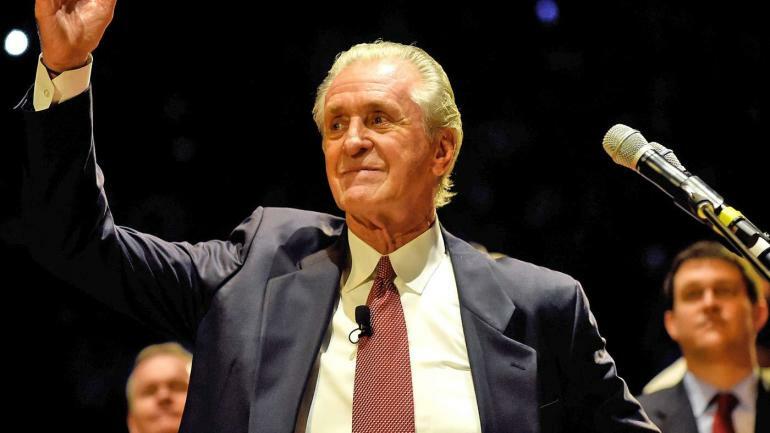 As it turns out, Riley isn’t interested in leaving his role with the Heat — even for his former franchise. Riley may not be concerned with what’s happening in Los Angeles, but he is concerned with his own franchise after it failed to qualify for the 2019 postseason. Given that fact, he clearly has some work to do over the offseason in order to improve the roster. Another executive that has been mentioned as a potential replacement for Johnson is current Golden State Warriors general manager Bob Myers, although the Warriors say the Lakers have not yet reached out to him about a potential interview. “No one [from the Lakers] has called me. I can say that,” Warriors CEO Joe Lacob said on Saturday, via Yahoo Sports. “We’ll have to wait and see if something like that did occur. He’s a great part of our family here, and I feel very close to him. I consider him like a son, almost. I would be surprised by that, I guess. … We’ll see. It doesn’t sound like Lacob will have to worry about potentially losing Myers to the Lakers, though, as Myers reportedly laughed at the idea of leaving his current position to take a job in L.A. Clearly, the Lakers will have to cast a wider net in order to find Johnson’s replacement.